A midvalley development project that was stalled during the recession has been resurrected at a significantly larger size. Woody Ventures LLC is asking Eagle County to restart review of the Tree Farm project on the property of Ace Lane, across Highway 82 from Willits Town Center. In September 2009, Lane and Woody Ventures received the first of three rounds of approval needed from the Eagle County Commissioners. That approval, formally called sketch plan approval, allowed 319 residences for up to 392,819 square feet as well as 96,375 square feet of commercial development. The total project was contemplated at 489,194 square feet. 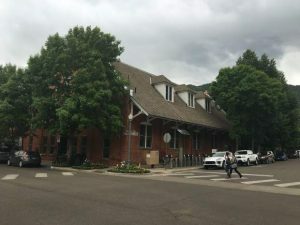 For the second round of Eagle County’s review — called preliminary plan — Lane is proposing up to 400 residences for a residential square footage of 450,916 square feet and another 134,558 square feet of commercial space. The total square footage of the new project is 585,474 square feet. The new proposal is 19.5 percent larger than the old plan in total square feet. The commercial square footage is 40 percent greater. The number of residences is up 25 percent and the residential square footage is up 15 percent. The project is proposed on 71 acres. 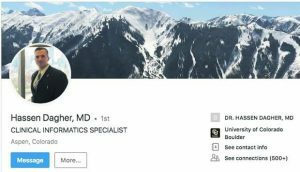 Despite the changes to the application, the Eagle County planning staff determined the project didn’t have to return to square one and go through sketch plan review again. Woody Ventures representative David Marrs said the application was altered because market conditions have changed drastically since 2008-09 when the project was first reviewed. The cost of the infrastructure remains significant, he said, but the sales prices for the residences have decreased in the last six years. That justifies the increase in the square footage, according to Lane’s development team. “It comes down to economics,” Marrs said. Given the prior public hearings on the Tree Farm application, the public will likely focus on the midvalley’s ability to absorb the square footage and impacts such as traffic. Willits Town Center was approved by the town of Basalt for 500,000 square feet plus affordable housing. Slightly less than half of that has been built. The two projects combined would add more than 1 million square feet of development in the El Jebel-Willits area. Marrs said Lane believes he is pursuing a model type of development. Lane earlier promoted his vision as “deep green” with high efficiency construction, on-site renewable energy and transit-oriented development. The Willits bus stop for Roaring Fork Transportation Authority’s BRT service is at a center location in the Tree Farm. Marrs said the Woody Ventures team believes the wide portion of the midvalley at El Jebel is a perfect place for high-density development. “It seems to make sense,” he said. Basalt officials don’t share that view. They have been asked by Eagle County to submit comments on Lane’s proposal. A draft letter prepared by Town Manager Mike Scanlon and Assistant Planning Director James Lindt will be reviewed by the Town Council and Planning and Zoning Commissioner Tuesday. The proposed letter says a new development of the size contemplated by Lane would “take away from the vitality and energy that the Town is trying to achieve” downtown and at Willits. 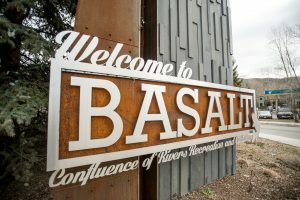 “The Town is spending considerable energy on plans for revitalizing Basalt’s historic core — which has suffered from the new development in Willits — and our concern is that another commercial core could hinder that effort as well as put a dampening effect on the commercial health of Willits Town Center,” the draft letter said. The Roaring Fork Regional Planning Commission will review the Tree Farm application on a date to be determined. That board advises the Eagle County Commissioners on land use issues in the Roaring Fork Valley part of the county. The county commissioners will take up the debate next year. All three commissioners are new since the sketch plan was approved in 2009.